First of all, so sorry in the lack of posting! I had all these posts ideas and collaborations lined but then work took over and pretty soon I realized I ignored all the wedding stuff and now only have a weekend to get the remaining wedding stuff! I’ll do my best to post as much as I can. I do promise that after the wedding, I can commit more to the blog! Now onto this post. I have been obsessing over anything white. It could be because I’m in total bridal mode. All my purchases lately have been all white so that I can wear it during the week and weekend of my wedding haha. For instance, I’ve bought this drop waist dress but also considering purchasing this sundress, want this white lace romper, and now I’m on a hunt for a white distressed shorts. Ideas where I can get an affordable white distressed shorts? The ones I originally wanted sold out 🙁 So when I saw this shirtdress at Loft, I just knew it I had to have it in my closet. It’s the perfect classic, white dress. I hope you all have a wonderful weekend! love this dress…you look so nice! This shirt dress is gorgeous! And those shoes!!! Happy Friday! love the dress and the shoes! nice look! Thanks so much Sarah!! Wearing white during the summer is the best! Thanks so much Mischelle! Thanks for stopping by! Beautiful dress! Don't stress about the blog right now. You've got a lot going on right now! Thanks so much for understanding Amy Ann! So glad to be back to blogging! Such a beautiful shirtdress! 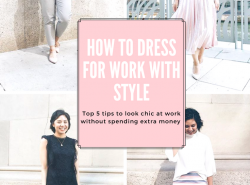 Love the cut and fit of it – so relaxed and chic! I love this dress, it's stunning and perfect for the summer 🙂 The sandals are gorgeous too! Perfect combination! waahhhh so love your dress!! Wow! I love those shoes! Super cute & fab! 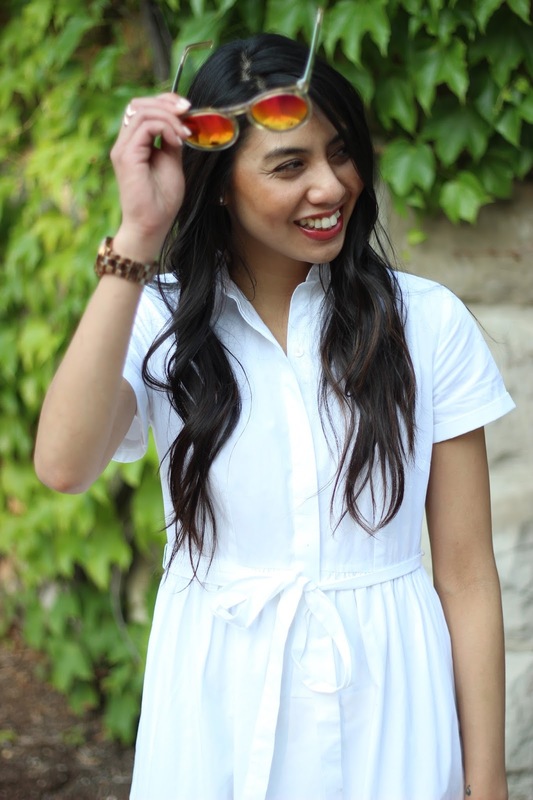 I love this white shirtdress…it is absolutely beautiful! Such a cute and chic look <3 The dress is so beautiful!! You look great! Thanks girl!! Thanks for stopping by! Hello there, what a classy chic look, I love this dress! you look perfect!. Thanks Arely! Thanks for stopping by! Such a classic, lady like look! And I can't believe your wedding is only a couple of weeks away!!! love it, so cute and classy! This shirt dress is so chic! I love it, and I need those shoes! You look beautiful! Love this white shirt dress, so chic! I am absolutely loving your heels! They're so beautiful! I love this look! Great heels! Such a cute dress on you! I love the length and those sandals match perfectly. Great look! I love the coolness and simplicity of white as well. And I can't get enough of dresses with pockets! You look like a happy bride to be! This is such a lovely look on you! Perfect for summer and a bride to be 😉 You look fabulous! Again, a lovely dress. It's a real pleasure to see a beautiful dress on a beautiful lady. Your smile makes it double. BEAUTIFUL! Love this dress so much. I've always been hesitant about wearing white; I am so accident prone! Ive been toying with the idea lately and your outfit is really inspiring the thought even more. So chic and effortless. Those sunnies made for the perfect accent btw. Thanks Tanaka! Don't be hesitant! I think it is all about being comfortable with it and after that you will be a natural! You will be such a gorgeous bride! I love that this shirtdress has pockets and I love the longer length! Thanks Anna! I couldn't agree more! This is a very sweet dress. It's adorable. You styled it simply too which is nice. SO pretty !!! Love this! And the sandals are gorg!! Beautiful shirtdress and I love your shades. Hooray for bridal mode! White looks good on you! I'm too big of a messy klutz to ever pull off wearing that much white!